This beach is situated 24 kilometres from town. Evergreen trees line this small, curving bay, beneath the foothills north of Kamala. Hat Surin is home to Phuket's first golf course, a nine-hole course laid out more than sixty years ago during the reign of King Rama VII. It is now largely in disuse except as a park. 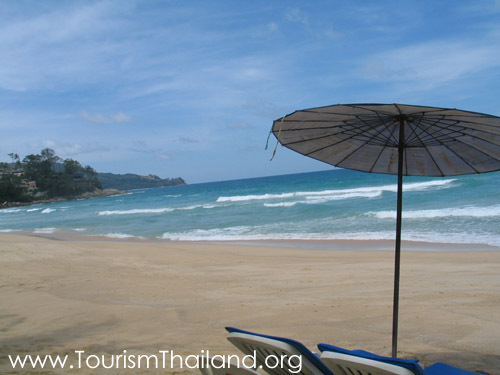 The steep incline of the beach, turbulent water, and big waves make Hat Surin a dangerous place to swim.